First impressions are everything. We often can’t help but judge someone on their dress and appearance even though we know we should get to know them first. Just as our clothing can project us as cool, successful or someone who just doesn’t care what anyone thinks, so does our brand and by extension our website and email marketing campaigns. There’s a large number of people that simply don’t give bad design any time. They aren’t interested in getting to know your company simply based on the way your brand is dressed. Fortunately you don’t have to be a designer to create great looking marketing emails in Campayn. Here’s some tips to help you present your organization in a positive way. The reason big brands are so strict about sticking to their brand guidelines is because consistency is good business. We’re visual people and the more consistent we are with the way we present ourselves and our messages the quicker our customers recognize us and connect to our values. Consistency also makes people comfortable whereas erratic change in appearance or message confuses them. Be instantly recognizable and have your email look like your website and existing brand material as closely as possible. If you have a logo you should use it on your header instead of just text. Open your logo in Photoshop or something similar and make sure that is at least 640 pixels wide. If you’re not familiar with photo editing software you can drag almost any type of file into your Images folders including PDF’s. If you have a PDF letterhead, brochure or newsletter you can drag that into images and Campayn converts it into a JPG format that you can crop and use as you header. Another trick is simply taking a screenshot of your website and dragging that into Images and cropping what you need from that. When you design your theme in the ‘Logo and Colors’ page of your account spend a few minutes to pick the right colours, fonts and button styles that match your existing look. A congruent look across all your material will pay off in the long run. There’s a big difference between looking at a page of solid text vs. the same text broken up with headlines, paragraphs and colours. One of the things that good designers do well is group pieces of information. It’s more pleasant to look at and not as discouraging as lots of text. Consider changing the background color of various blocks to visually separate your information. It doesn’t have to be bold and should stay within your brands color scheme so when in doubt use your logo colours or neutral colours like greys that won’t conflict with other colors. Before we discuss Snippets let’s talk about Articles. Inside your Content tab you will find Images and Articles on the right. An article is either just text or text and an image. If you’re looking for an easy way to reuse the same block of text then adding it to Articles and then clicking ‘add content’ instead of using the design editor is best. The other advantage to using articles is that once you add them to your email you can shorten the text using the ‘Shorten to Snippet’ button. This will just show some of your text and automatically add a read more button that when clicked will go to the full text version that looks great in desktop and mobile. 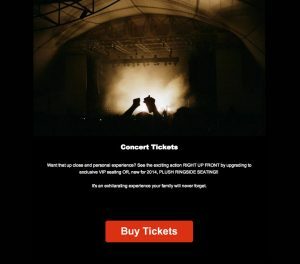 Snippets are exclusive and unique to Campayn and will give your marketing emails a clean, professional and structured look. They also allow you to add more content without overwhelming your readers. Some people like the look of text links over buttons but with 40 or 50% of people opening your emails on a mobile device buttons make more sense. If you want to be respectful to your readers make it easy for them to click on links by using images and button links. We now offer 3 styles of buttons including rounded corner, perfectly square and outline as well as many colours to choose from. A call-to-action, or CTA is quite simply the ‘action’ you want someone to take when reading your email. You may want them to visit your website, download a book, get a coupon, buy a product, attend an event etc. We now allow you to add a really big call-to-action button. You should experiment whether many links peppered through your email or 1 big CTA work better for you. If you want to add your social network links then ‘connect’ to them from your profile page and they will show up in your signature block at the bottom of your email. You can choose from white, grey and black for your signature block and can add additional information in there as well. The colourful buttons at the very bottom of your email are social sharing icons. If your subscribers like your email they can share it on their social networks. Unless you prefer your emails not be shared you should leave the sharing buttons on. Design is important with all your marketing material and email is no exception. Try to customize a look, stick with it and avoid using different templates. These are great tips! I always make sure that all of my emails match the branding that I have already created for my business. Keeping things consistent helps keep customers on the right track.